Pictured L-R: Lienau AV Associates, Inc., team members Chris Hutnick, Domenic Troilo, Tom Macri and Jay Andrews. © 2015. 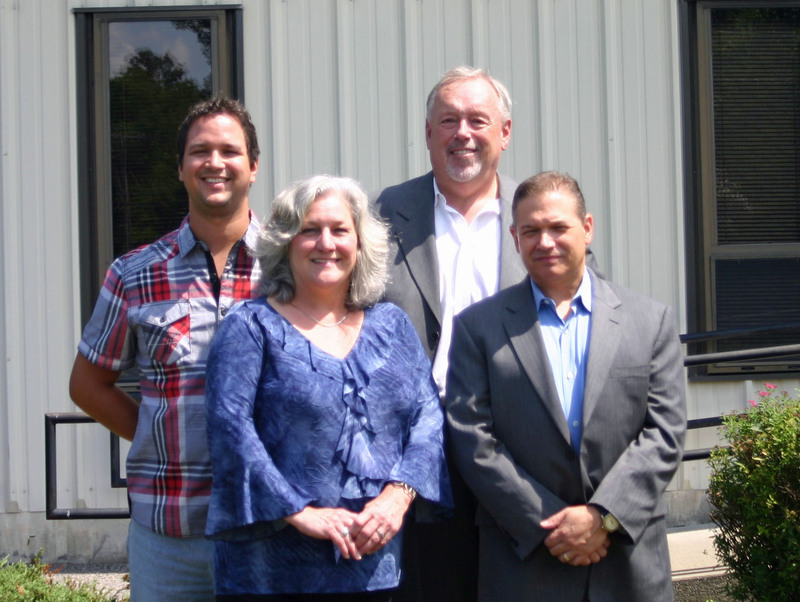 Pictured L-R: AudioPros team members Alex Shillo (Account Manager), Vickie Harwood (Office Manager), Rick Swensen (Principal) and Rob Howitt (Account Manager). © 2015. Los Angeles, CA, September 3, 2015 — Roland’s Professional A/V Division is pleased to announce the appointment of two new manufacturer’s representatives. Lienau AV Associates, Inc., has been appointed representative for the mid-Atlantic region, and AudioPros will now represent Roland Pro A/V in the Northeast region. The announcement was made by Christian Delfino, Vice President of Sales and Marketing for Roland Professional A/V Division, and it represents the division’s ongoing growth and expansion nationwide. Lienau AV Associates is an independent manufacturer's representative firm serving clients in the Mid-Atlantic, region of Delaware, Maryland, Eastern Pennsylvania and Virginia since 1948. Principals Chris Hutnick, Tom Macri and Domenic Troilo and their team have already begun representing the Roland Pro A/V product line in the mid-Atlantic territory. AudioPros is a New England-based manufacturer representative firm focusing on professional AV products. Principal Rick Swensen, a 20-year veteran in the industry, and his team recently began representing Roland Pro A/V in New England (CT, RI, VT, MA, NH, ME) and upstate NY. For more information, please visit http://proav.roland.com/, http://www.lienauav.com/ and http://audioprosreps.com/. Photo caption 1: Pictured L-R: Lienau AV Associates, Inc., team members Chris Hutnick, Domenic Troilo, Tom Macri and Jay Andrews. © 2015. Photo caption 2: Pictured L-R: AudioPros team members Alex Shillo (Account Manager), Vickie Harwood (Office Manager), Rick Swensen (Principal) and Rob Howitt (Account Manager). © 2015.